When it comes to Beyonce's release, usually an element of surprise. "There is not likely to be a more meaningful, very interesting, powerful and radical performance of an American musician this year, or any year soon, "wrote critic Jon Caramanica out of The New York Times. "It's rich in history, potentially political and visually massive, with anxiety, chaos, and green. A fascinating gobymacking of choreography and music direction." [ Never miss the story of pop music: Get our weekly newsletter, Louder . Now, the concert – Streamed in time and reproduced for Coachella's second weekend, but only exists in the form of shipment from – has been preserved for history in many streams. 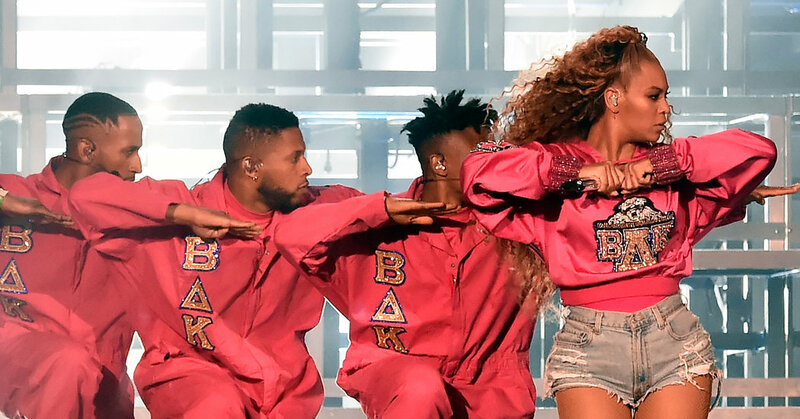 The documentary, an exclusive Netflix charged as "a Beyoncé movie," features footage from rehearsals and a quieter backstage – "the emotional road from the creative concept to the cultural movement, "said Netflix. The "Homecoming" album is a more faithful entertainment concert that became known as Beychella. It breaks over two hours of performance over 40 tracks, many of which are packed with many music references and sections of other songs. The Beyoncé's roster, which spans a little on the two shows of Coachella, includes solo hits such as "Get Me Bodied," "Baby Boy" and "Formation," the songs of Destiny & # 39; s Child "Say My Name" and "Soldier" (with her former friends group Kelly Rowland and Michelle Williams) and various interludes titled here "So Many Damn Swag" and "The Bzzzz Drumline." He also includes a hymn of "Lift Every Voice and Sing," a song often referred to as the black national anthem. While some recent Beyoncé releases are available, for one hour, only Tidal, the streaming service owned by Jay-Z, the live album is released on all major streaming platforms, including Apple Music, Spotify and Google Play. Since Coachella, Beyoncé has been quietly profes sionally, though he was traveling to Jay-Z last summer, surprisingly fans with nine tracks collaborative efforts to "Everything Is Love" along the way. He did not reveal a follow-up.